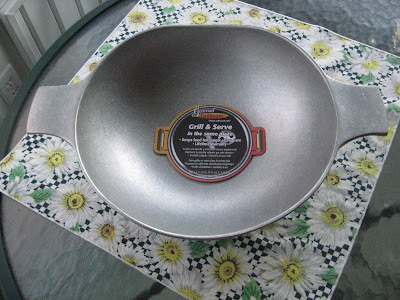 Last night I tried out the Wilton Armetale grill wok from their Gourmet Grilling collection. This is a traditional wok that you use for high heat stir fry, although the piece is bowl shaped so can also be used for other types of dishes like stews on the grill where you want to get a nice smoked flavor. Jes had emailed to see if I'd like to check out something from the Wilton Armetale grilling collection in exchange for doing a fair review. I wasn't familiar with this line, and I look at loads of grilling gear. I checked out the grilling items and listed several that I found interesting and said any would be fine. Jes went with the true style wok which I'm sure many folks may consider a harder-to-use grill item. Really a wok is not hard if you know what to do with it. You really don't get a feel for the wok from the web page. I was expecting a rather small piece which is fine for a family. When it came in, it was large though. I'd say about a foot across or close. And. the grilling wok was just beautiful. I don't know really what I was expecting, but this wok just made me want to run round the house and high five all the guys. In fact, it was so pretty that I kind of hated to put it on the grill. I just wanted to sit and look at it which if you read my blog would not be my usual style. Looks aren't everything though, and I'm not into knickknacks. I had to fire up the grill and put the Wilton Armetale wok to the test. In fact, I thought I'd go with a hard test - over charcoal. It's harder to regulate charcoal, and you're likely to black up a pan that way. I kind of cringed, but I took the plunge. First I marinated some chicken strips in red wine vinegarette with some spicy seasonings. 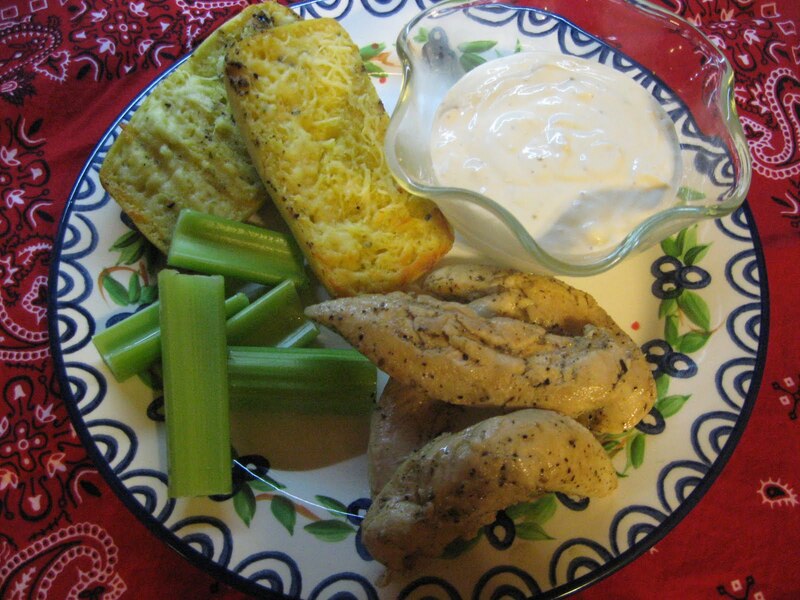 Chicken stips sans skin and bones can be kind of bland, but they are healthy, and if you flavor them, you've got a great meal. I fired up the coals and then sprayed the wok with Pam spray and let it heat. The grill woks you usually see at stores with holes in the bottom (which I do love too) do not need the preheat time or not as much. With a traditional enclosed type grill wok, you need to heat the pan. It's just a different style of grilling or cooking. After about 15 minutes, the grill wok was nice and hot. This metal is really pretty but also is super at heat conduction. Think of a metal like cast iron. It takes a while to heat up, but then it's nice and hot and ready for making some interesting and tasty dishes. Since I had marinated the chicken, I just poured it in. 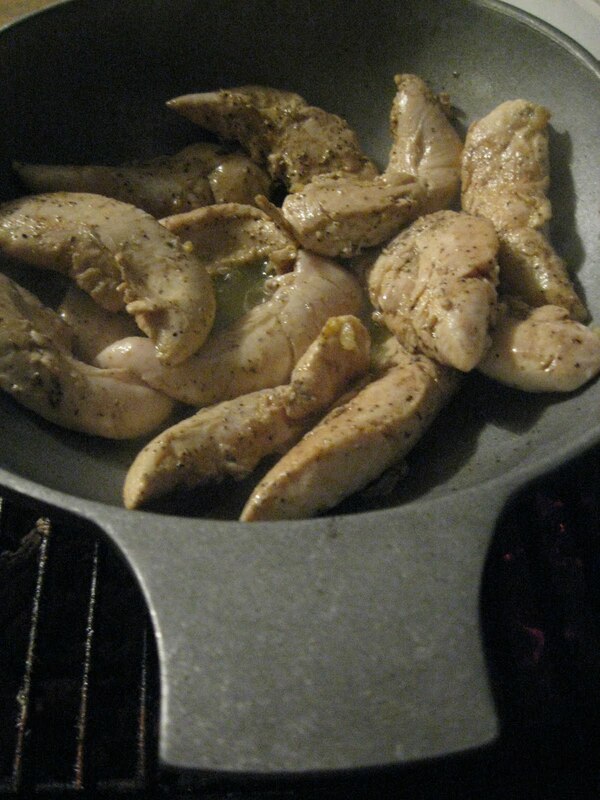 If not using a marinade, then put some olive oil etc in the pan to quick flash fry wok the food. You don't need or want much liquid, so pour off excess from the marinade if you did marinate as I did. Once the chicken (or whatever you are woking) hits the pan, stir fast. The heat is high as it should be, and you want traditional woked foods to cook up fast and hold in the moisture. We were feeling really fancy last night with this great dinner featuring the chicken from the Gourmet Grillware collection. The chicken was perfect - nice and juicy with flavor from the marinade and seasoning. And - done quick. I shared some photos at Facebook where I'm under cyndi allison. My grilling friends were asking about this really neat grill wok and also about that feta cheese dip I made which was great with the chicken and celery. After my Wilton Armetale grill wok test drive, I read up on WA and was even more impressed. While the prices are a little higher than some grill products I own, Wilton Armitale offer a lifetime guarantee and are out of Lancaster, Pennsylvania. That's what I'm talking about. I love a U.S. company that stands behind products. This grill wok did everything as I expected while looking fabulous which is why the company sells these as grill to table products. They look wonderful to use for serving and also hold the heat (and the cold too if you want to use this as a kitchen piece part of the time). Clean up, which I was kind of worried about, was a breeze. We just washed the grill wok in the sink with Dawn and dried it off as suggested. They don't recommend a dishwasher, and I don't have one anyway. Even when I did have a dishwasher, I did not put my good stuff like my old cast iron in there. It's much easier to just quickly hand wash a nice piece, and I don't trust a dishwasher to get good stuff clean and not mess it up. The Wilton Armetale is a wok, but it is bowl shaped as traditional for that style of cooking - but hard to find for the barbecue grill. It is perfect for high heat wok grilling, but it's sized and shaped fine for chili, stew, and other one pot dishes that can go on the grill and get a lovely smoked flavor. I did my meal over charcoal, but this would be great for a gas grill. In fact, it would be easier with the heat control over gas (but I took it on the hard road test first). The BBQ wok can also go on a side burner or on your kitchen stove or even in the oven (for a baked dish). And, it hold cold just as it does heat, so it can be a cold salad or dessert dish as well. Regular readers know that I only have a hand full of products or lines that I fall totally in love with. There are many grill and barbecue products that I like. There are a few where I just wonder: What the heck? (and I tell you about those). Wilton Armetale made my BEST OF list. Yes. You will pay a little more than some similar items, but you get much more variety, beauty, and a lifetime of fun. Check out Wilton Armetale (which includes lots of other useful and fun grill pans), and you be the judge. If you aren't blown away too, then color me shocked. This is the real deal! That is probably one of the nicer looking grill woks I have seen, I'm really impressed. I need to check it out, I am still using a stove top grill with a wood handle that I have to wrap in foil and it sticks out of my Big Green Egg lid while preheating.